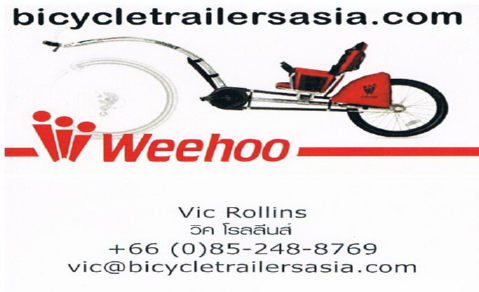 Trash Hero is honored and humbled to announce that it has won First Place in the coveted Thailand Green Excellence Awards 2015, in the category Nature, Maritime & Heritage. Her Royal Highness Princess of Thailand Ubol Ratanarachakanya Siriwatanaphanwadi presented the awards at a prestigious ceremony hosted at the World Travel Market on November 2nd in London, United Kingdom. 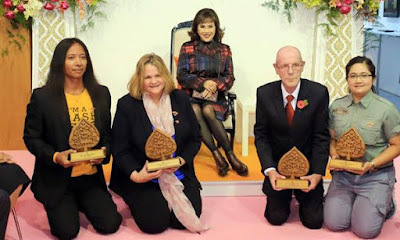 Princess Ubol Ratana with the winners of the Green Excellence Award. Trash Hero organizers Jeerawat Somboon and Roman Peter were present to accept the award. 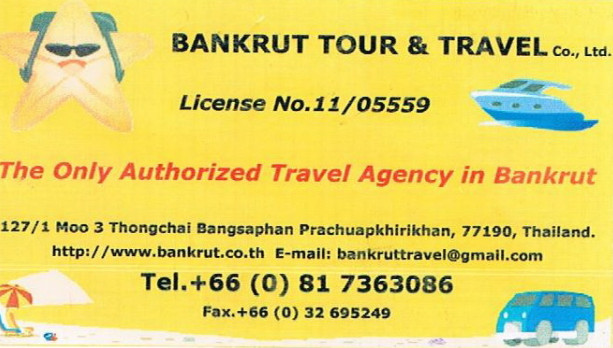 The awards are given by the Tourism Authority of Thailand (TAT) UK and Wanderlust Magazine UK, and are intended to highlight and further promote Thailand’s dedication to the conservation of the country’s precious natural and cultural resources, and support sustainable tourism development. 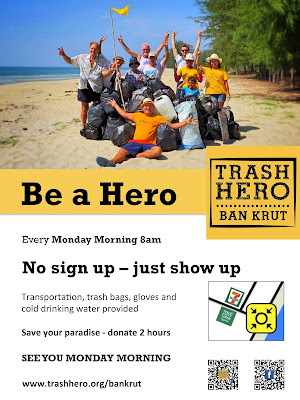 Since it’s inception in 2013, Trash Hero has grown to 16 chapters in Thailand and Indonesia. Chapters organize weekly cleanups that have resulted in more than 5,000 volunteers from all over the world removing in excess of 100,000 kilograms of trash from the beaches and islands in those areas. 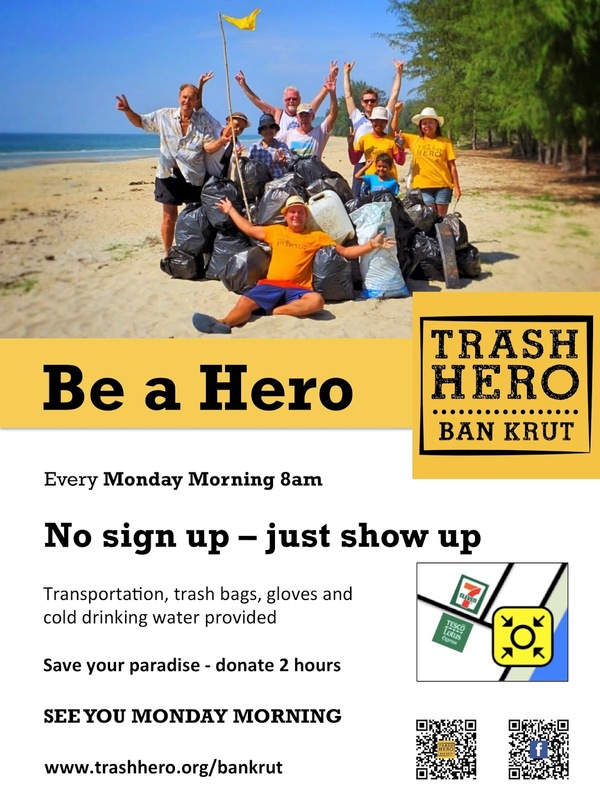 In addition, Trash Hero runs a reusable water bottle program that provides an environmentally friendly alternative to plastic bottles, which can be refilled for free at participating businesses. Other projects undertaken by the organization include school education programs, volunteer-based community trash collection for rural villages, and collection of used engine oil.